Captain Marvel Trailer Hints At Serious Potential - Are You Screening? Captain Marvel is not only a somewhat tricky effort generally, but it’s hitting at a dangerous time for Marvel. It’s tricky because, by box-office standards at least, Marvel is in a comfortable position, having bounced back from Doctor Strange (which was good enough, but didn’t light up the world). At a time when everyone in the Marvel Universe is being sucked together into each further Avengers adventure, the individual who hasn’t been in a movie before is a risk. That’s especially true after the last Avengers effort, which was at best half a movie and didn’t exactly leave all audiences singing its praises. The trailer sets an interesting stage for a kind of inverted origin story, and it immediately lets you know that we’re in the past. The story, which we get to eventually, apparently finds Earth caught up in a war between two alien races. 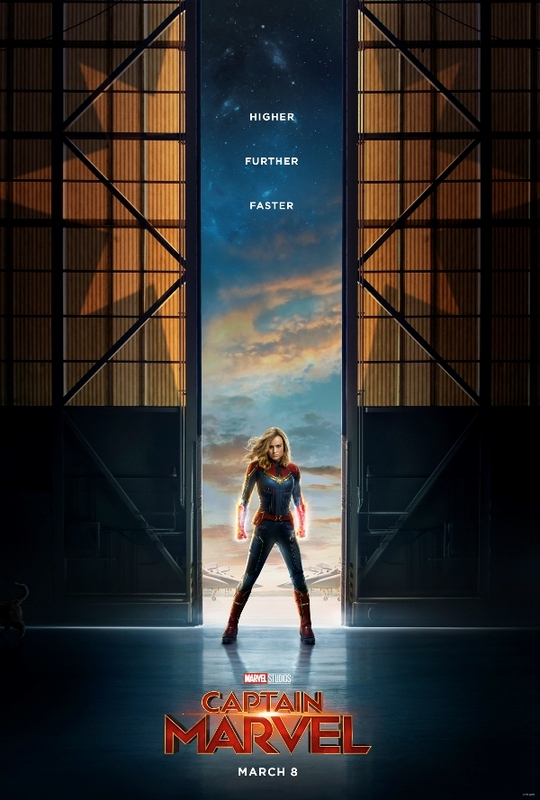 Captain Marvel (Brie Larson) comes to Earth and meets Nick Fury (Samuel L. Jackson), but also begins having memories she isn’t sure are true. Memories of a life on Earth. Among the glimpses of spaceships, car chases, and superhuman powers, it appears that the movie serves a dual purpose by giving us the origins of S.H.I.E.L.D., and Nick Fury’s place in the grander scheme of things. The main thing audiences might be after in a trailer here is learning where on the comedy spectrum this one will fall. Marvel seems to have been testing various levels of humor over the last five years, and it looks like this one might be headed back toward earlier installments. Not only does the trailer avoid highlighting a lot of zingers, we’re potentially in a pretty dark place as we examine whatever it is that must have happened that stole Carol Danvers life and turned her into someone else. The film also stars Jude Law, Ben Mendelsohn, Djimon Hounsou, Annette Bening, and many more.